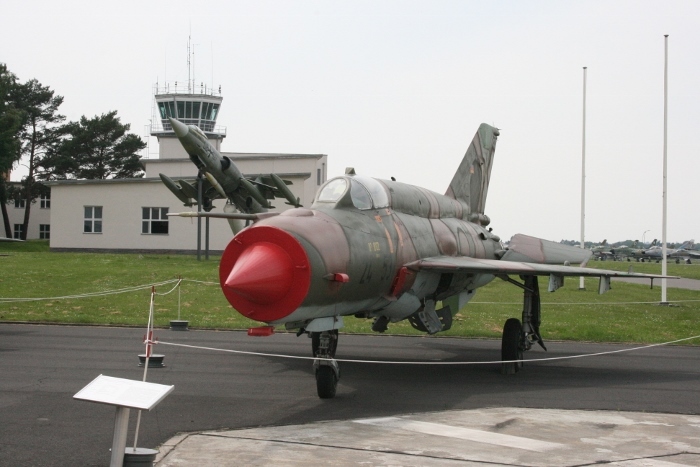 The East German Air Force (Luftstreitkräfte der Nationalen Volksarmee – LSK) operated as a well trained and well equipped division of the National People’s Army (NPA or Nationalen Volksarmee – NVA) from 1956 through to their final year of operation in 1990 when Germany was reunified (October 1990). 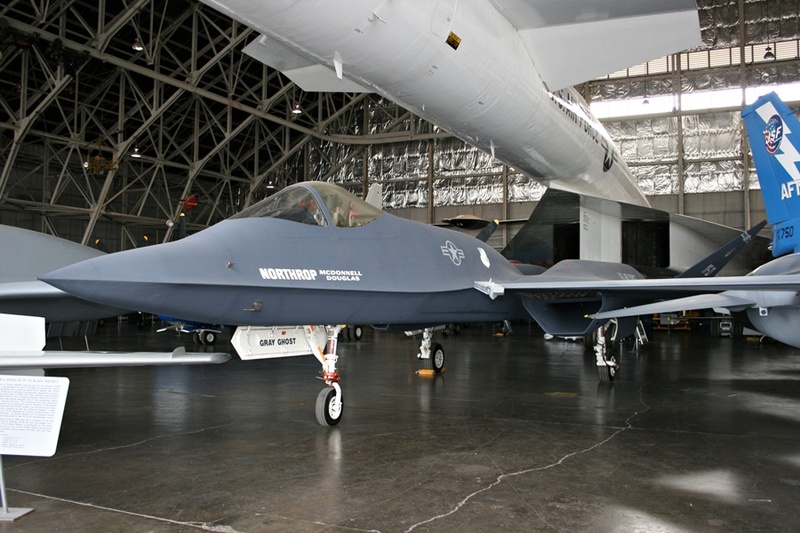 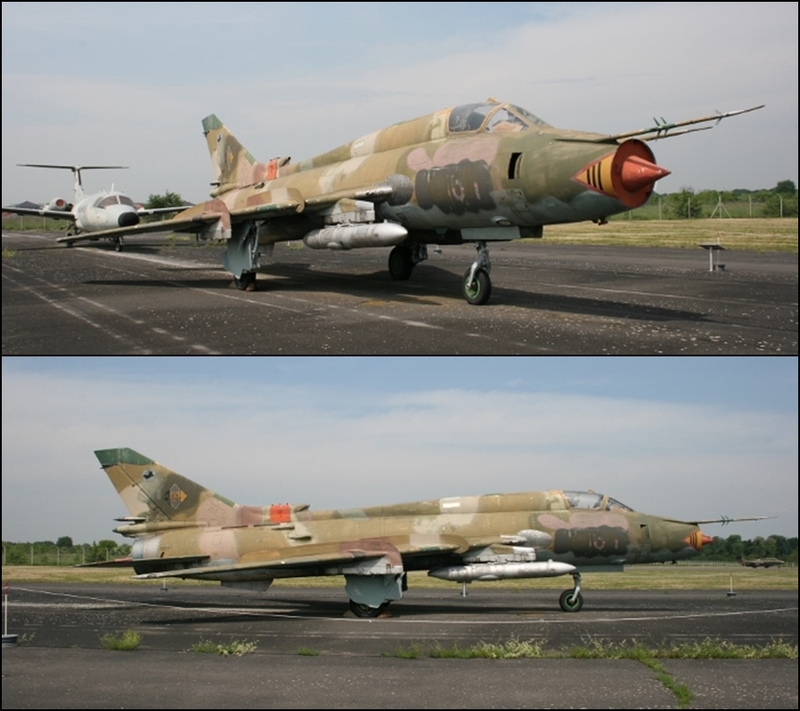 Given the significance of their front line position within the Warsaw Pact nations against NATO, the LSK received advanced versions of numerous modern Soviet era combat aircraft equipped with similar technology and weapons systems to those operated by the Soviets themselves (as opposed to the slightly downgraded export versions sold to most nations). 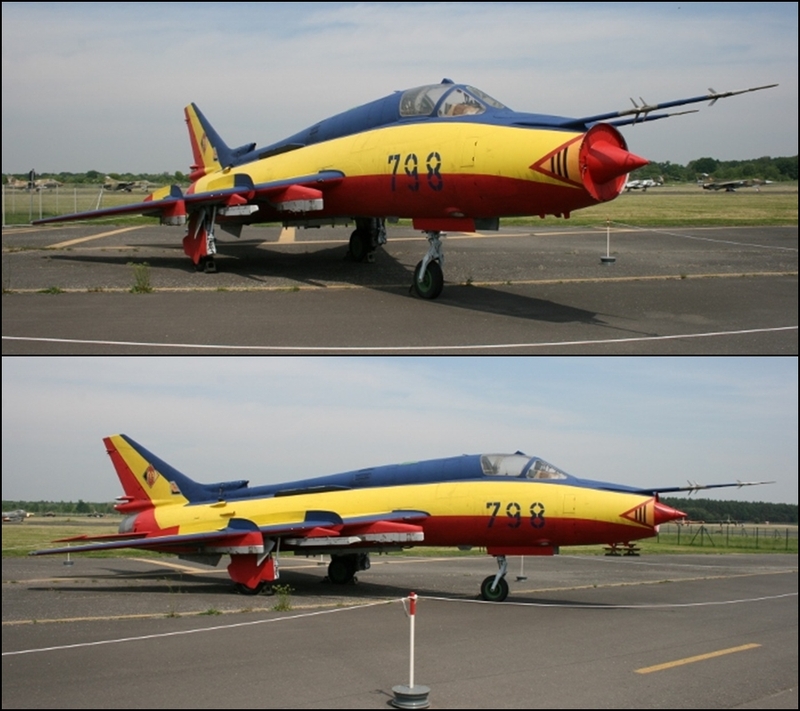 The 1950’s and 1960’s saw the LSK advance into the jet age. 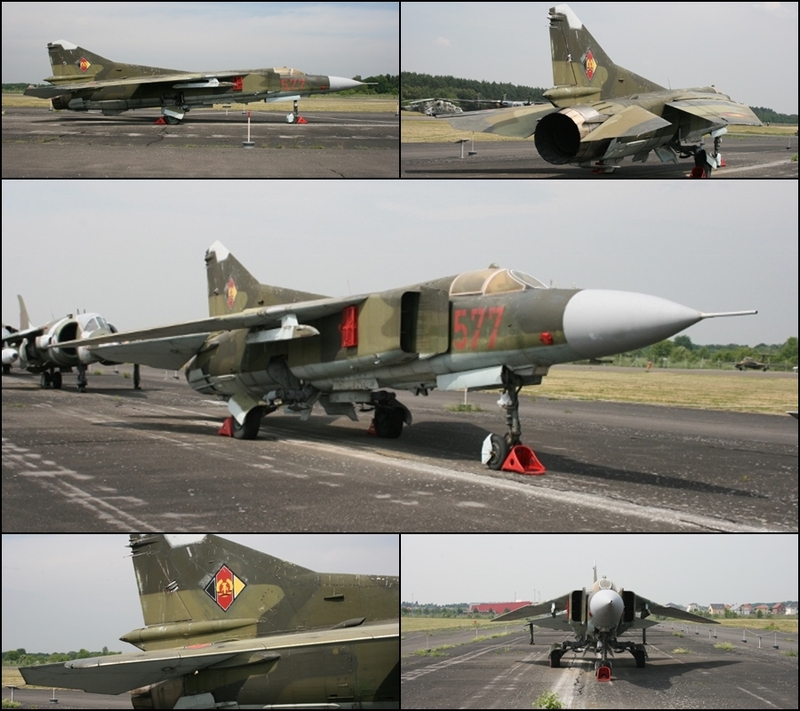 Throughout the 1970’s and 1980’s East Germany continued to upgrade the LSK with current Soviet combat aircraft. 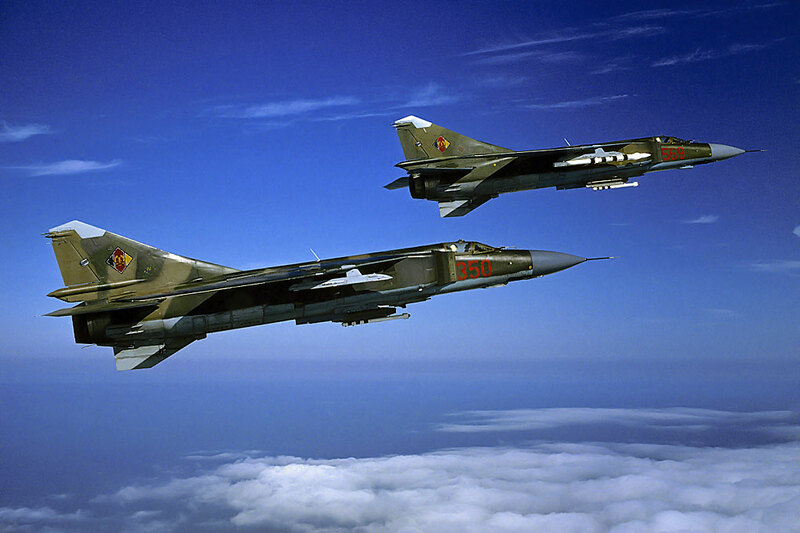 At the height of the Cold War the LSK was as ready as any Warsaw Pact nation to meet the challenges ahead. 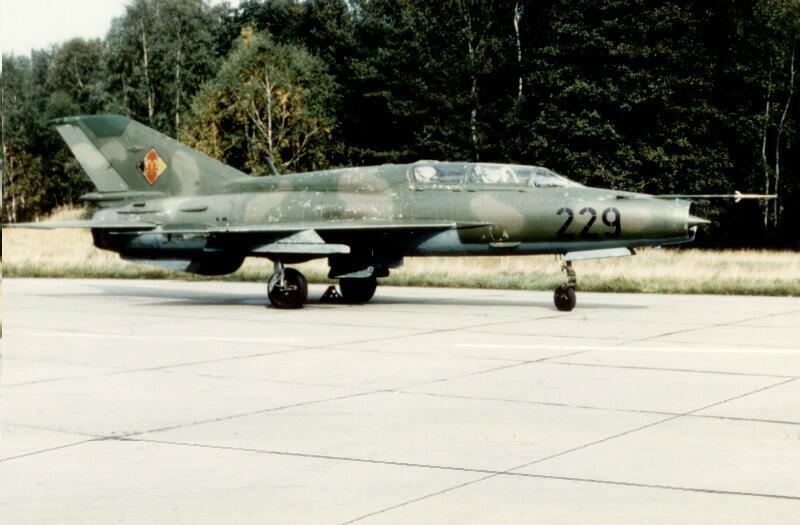 During this modernization period East German Air Force aircraft always looked quite resplendent to me, with their earthy camouflage colour schemes, bright red numbers and high-viz roundels. 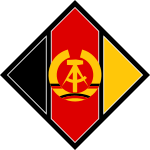 The roundel with that stunning black, red and yellow emblem emblazoned with the communist hammer and compass always really stood out (the hammer represents the workers and the compass the intelligentsia or intellectuals – the thinkers, skilled professionals, the artists, scientists etc.). 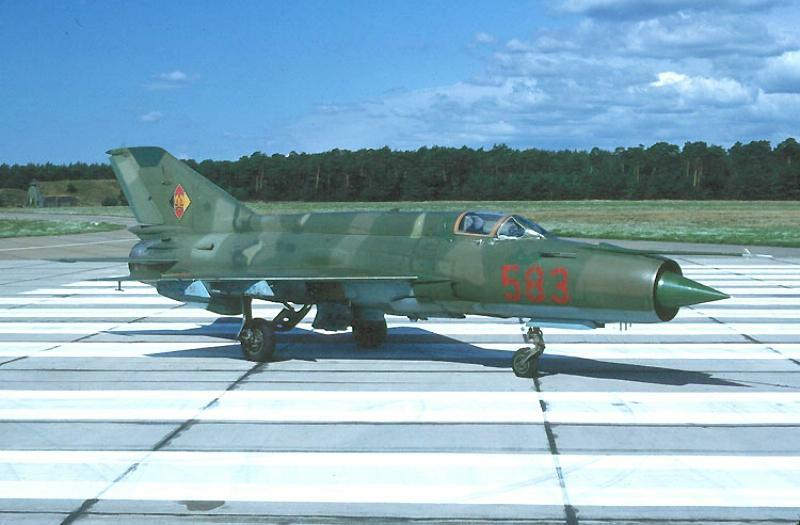 Throughout the 1960’s the Mikoyan Gurevich MiG-21 Fishbed was the mainstay fighter of the LSK and newer, upgraded variants continued to be delivered into the early 1970’s. 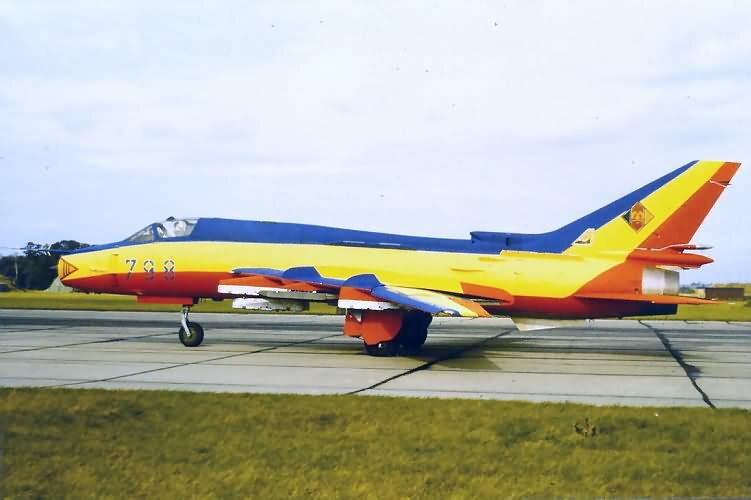 Between 1972 and 1974 they received 50 MiG-21M/MF Fishbed J (export version of the MiG-21S/SM), which were followed in 1975/76 by the final variant, the MiG-21bis Fishbed L/N which featured improved avionics/weapons systems, a more powerful Tumanskiy R25-300 engine, increased fuel and improved manoeuvrability. 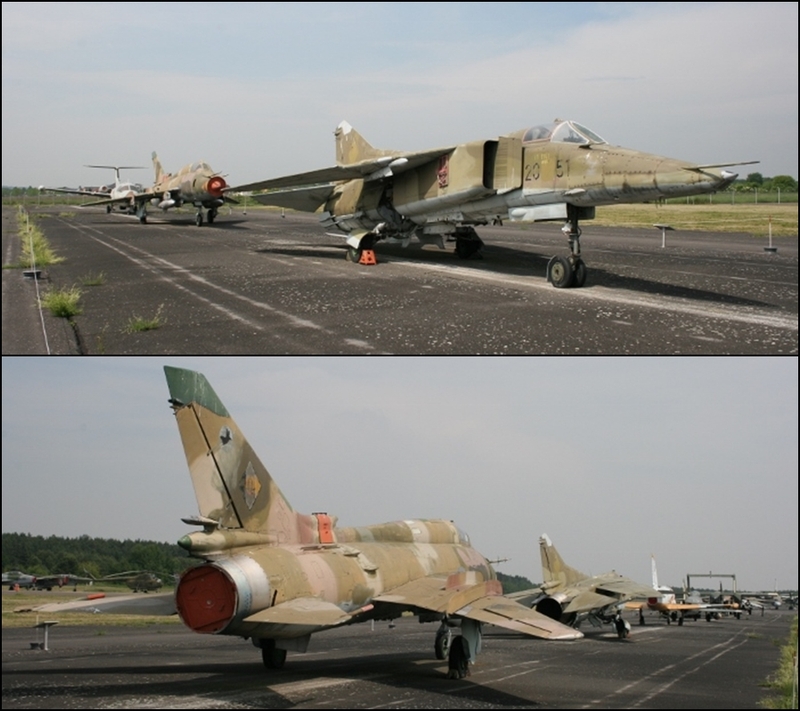 The Fishbed L (14 were delivered in 1975) was equipped with the Lazur Ground Control Interception system and designated MiG-21bis-Lazur in the GDR; and the Fishbed N (32 were delivered in 1976 and 5 were lost in accidents) was equipped with the Polyot Instrument Landing System and designated MiG-21bis-SAU in the GDR where SAU referred to Sistema Avtomaticheskovo Upravleniya = “Automatic Control System”). 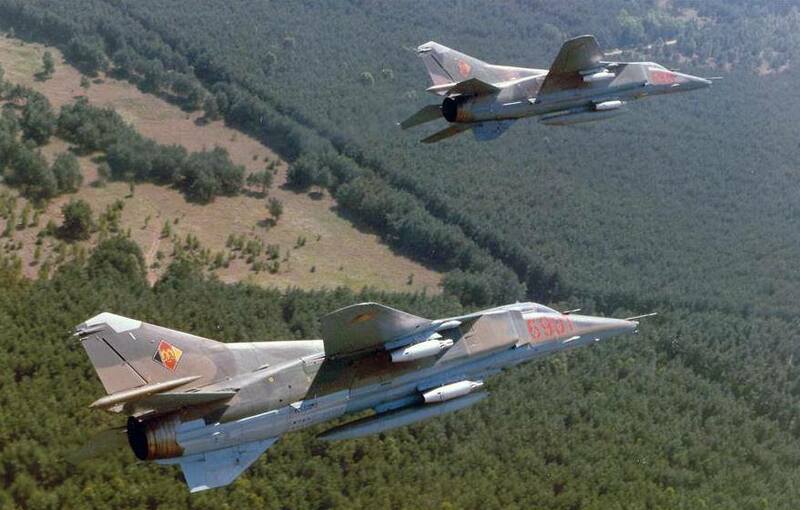 41 MiG-21bis remained in service with the LSK until 1990. 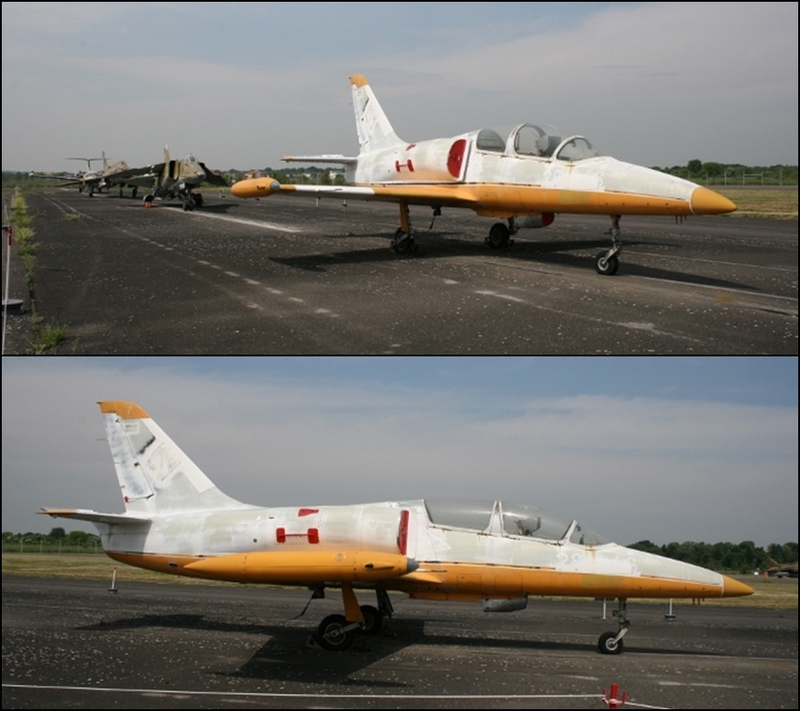 In addition to the single seat fighters approximately 71 MiG-21U/US/UM Mongol A/B two-seat trainers were still in use in 1989. 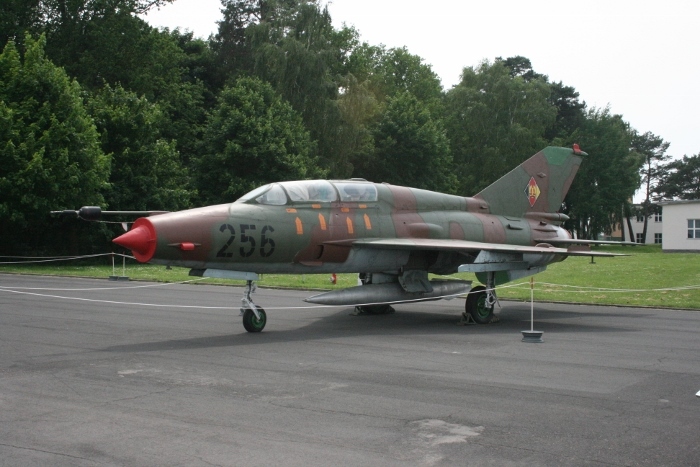 Although 50 MiG-21’s had been withdrawn during 1989, there were still 251 MiG-21’s of numerous types in LSK service that year serving with JG-1 (Holzdorf – air defence), JG-2 (Neubrandenburg – air defence), JG-3 (Preschen – air defence), JG-7 (Drewitz – air defence), JG-8 (Marxwalde – air defence), TAFS-47 (Drewitz – fighter bomber), TAFS-87 (Preschen – fighter bomber) and FAG-15 (Rothenburg – under the command of the Air Force Training Command at Kamenz AFB). 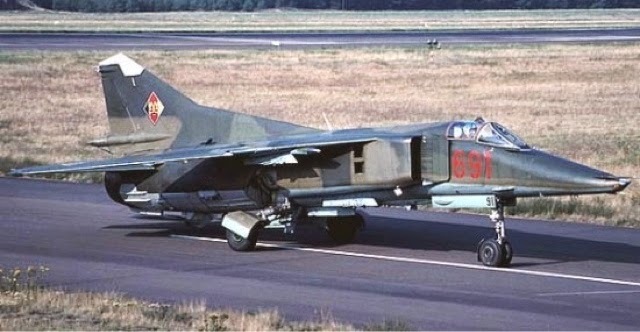 The LSK had a significant boost to its capability in the 1970’s when it received the Mach 2.3 capable swing wing Mikoyan Gurevich MiG-23 Flogger B/C/G fighters to supplement the older MiG-21 Fishbed fighters and replace older MiG-17 Fresco aircraft (the MiG-21 was still more cost-effective to run and also often more reliable and maneuverable so it remained in greater numbers as a frontline fighter). 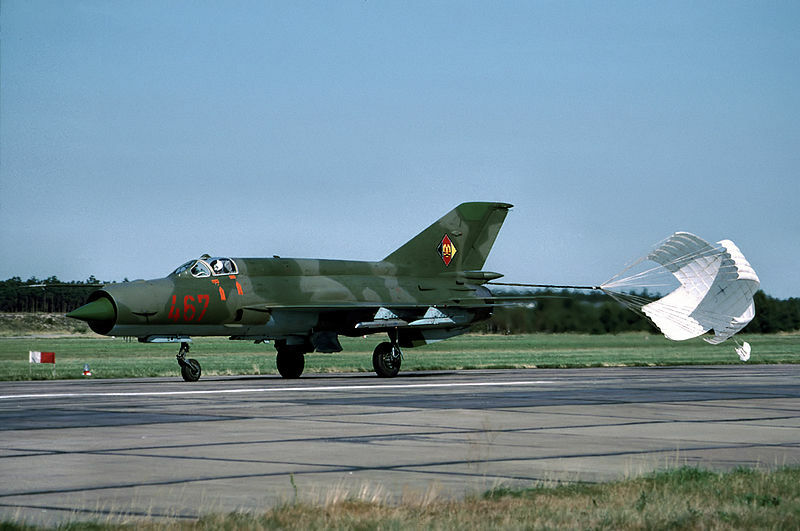 As with the MiG-21 the LSK received more advanced versions of the MiG-23 that were similar to those operated by the Soviets and could carry both Vympel R-60 / AA-8 “Aphid” heat-seeking short-range missiles and Vympel R-23 / AA-7 “Apex” radar guided medium range missiles along with air to ground ordnance. 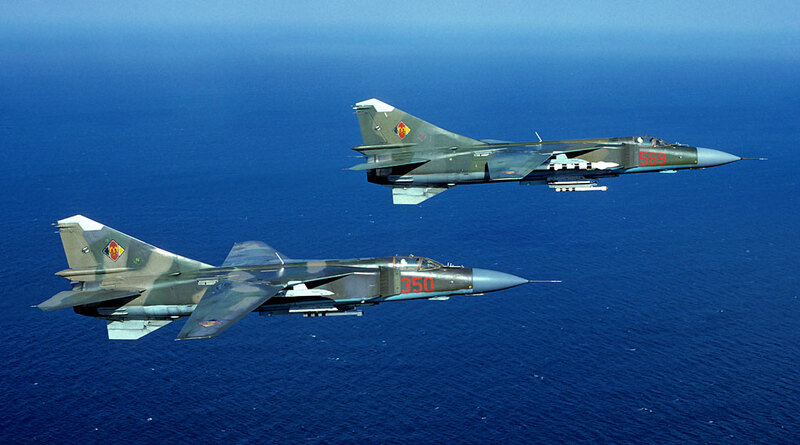 46 MiG-23 were still being operated in 1989, serving with JG-9 at Peenemunde for air defence (9 MiG-23MF, 28 of the more maneuverable MiG-23ML with improved avionics and radar along with 9 MiG-23UB two-seat trainers). 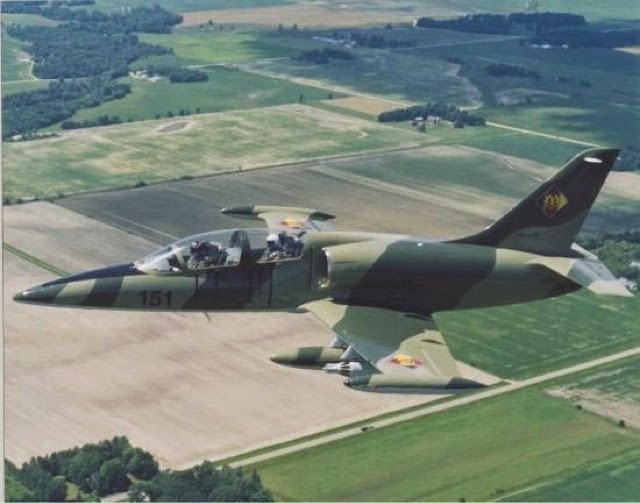 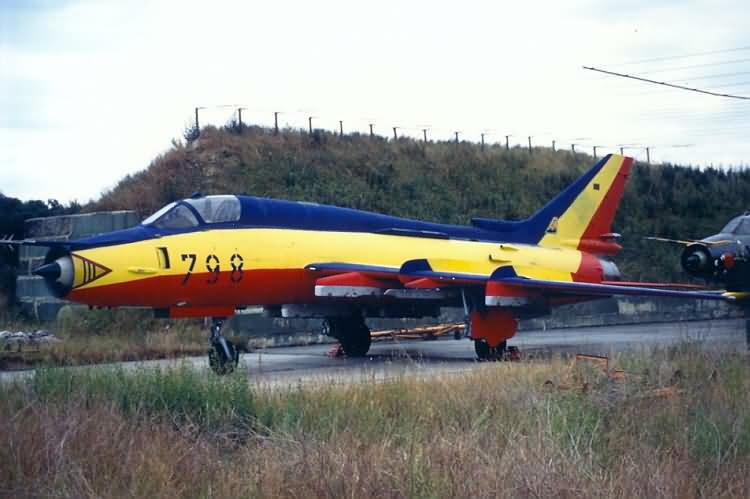 Czech designed Aero L-39 Albatros trainers were in us by East Germany for advanced pilot training and target towing duties from November 1977. 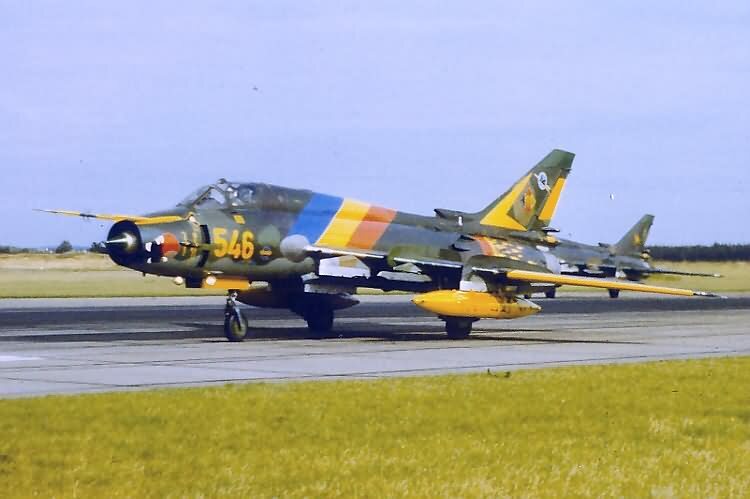 The type also had a secondary attack capability and could have been pressed into such service if the need was ever to arise. 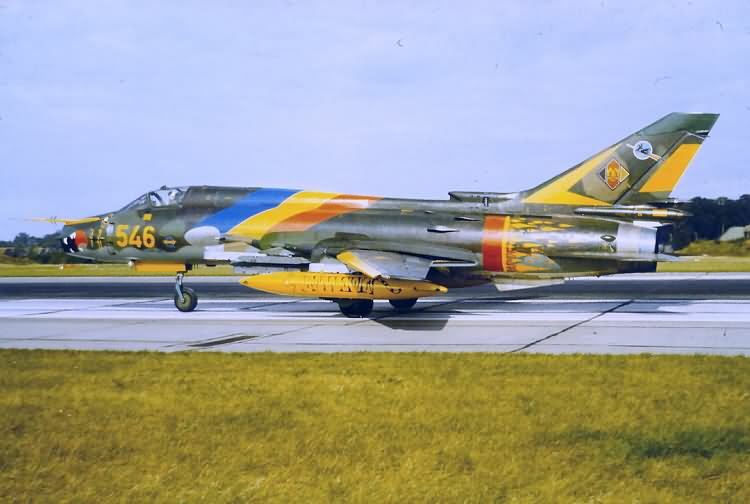 52 were still in service in 1989, serving with FDK-33 at Peenemunde (4 aircraft under the command of the Air Defense Division at Neubrandenburg AFB) and FAG-25 at Bautzen (28 aircraft under the command of the Air Force Training Command at Kamenz AFB). 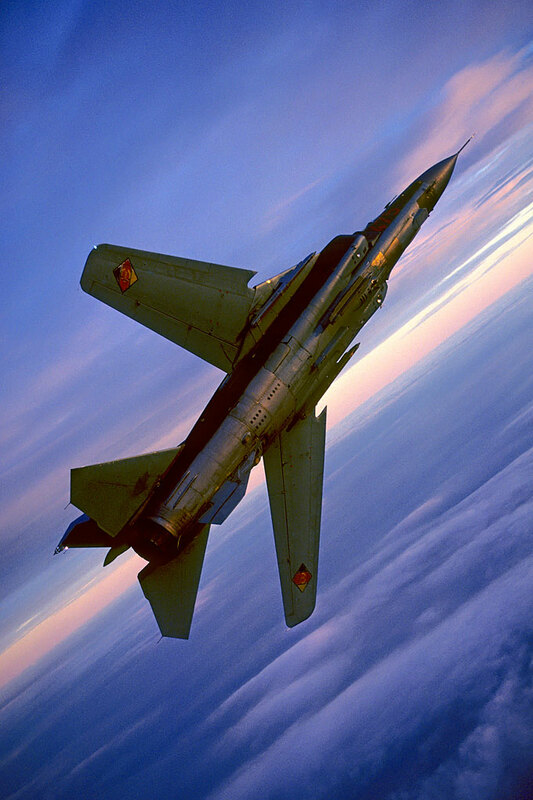 In the 1980’s the East German Air Force increased its ground attack capability with the delivery of the Mikoyan Gurevich MiG-23BN Flogger H ground attack aircraft (the more capable variant of the MiG-27 export) circa 1980. 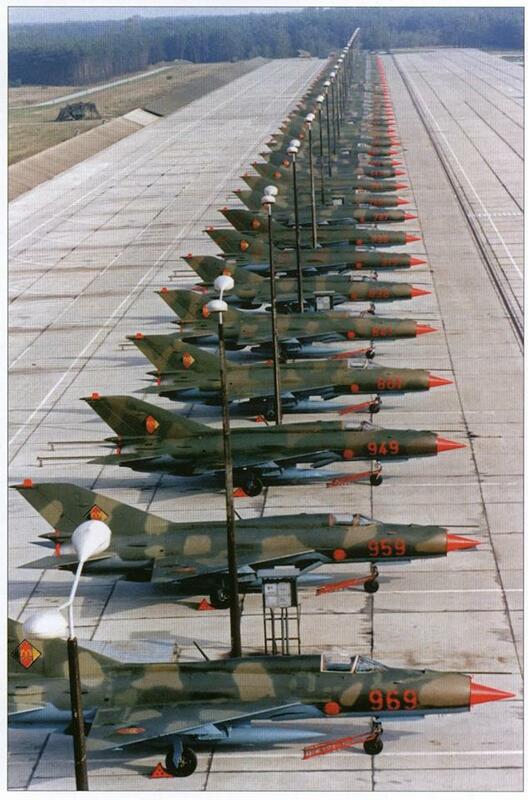 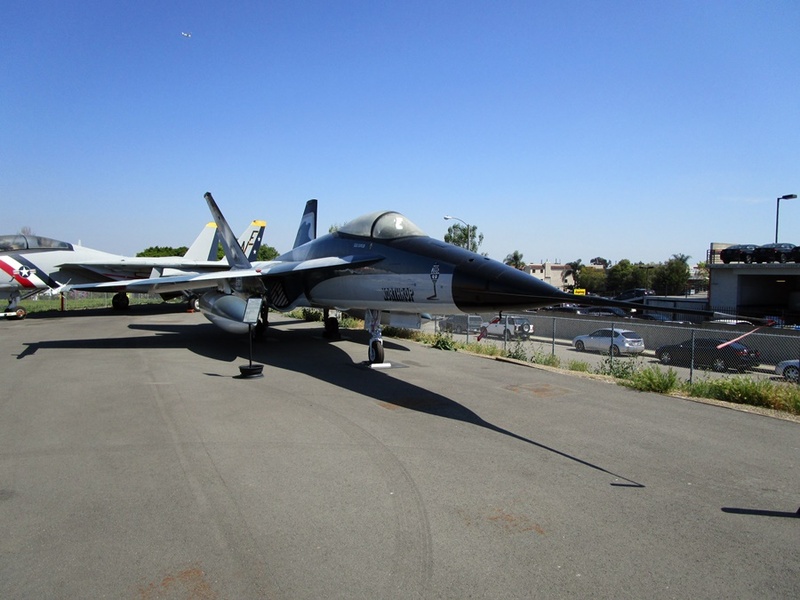 These combat aircraft were a huge advancement in capability on types such as the ageing and limited MiG-17 Fresco which was being used in the fighter-bomber role. 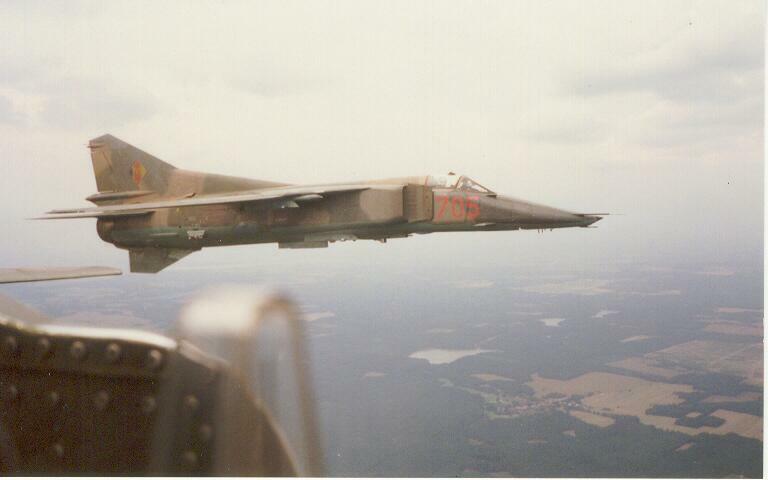 18 MiG-23BN were operated by the LSK in 1989, serving with JBG-37 at Drewitz. 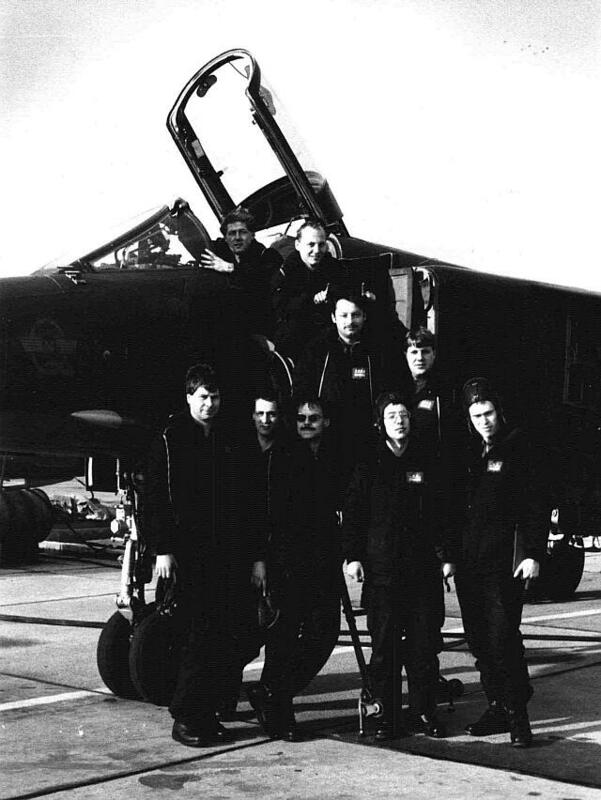 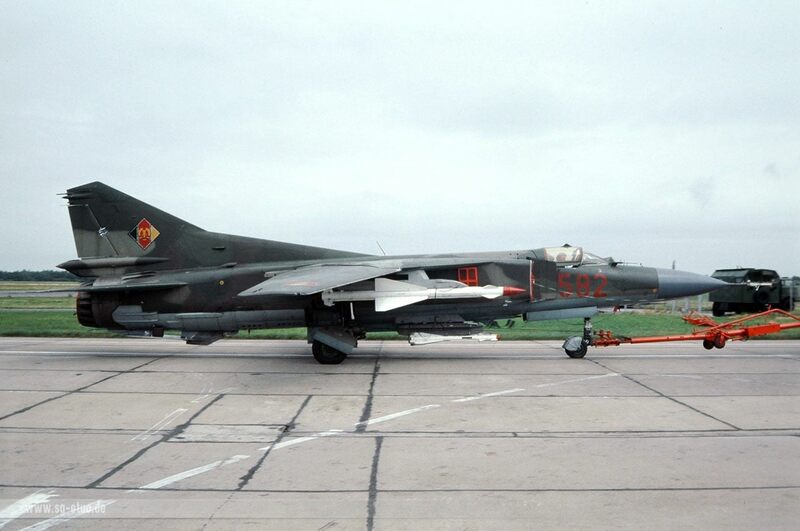 In December 1984 this ground attack capability was further enhanced with the delivery of the first Mach 1.7 capable Sukhoi Su-22M-4 Fitter K variable swing wing fighter-bombers (22 SU-22M-4 and 4 SU-22UM two-seat trainers – these were an export variant of the Soviet Su-17M-4 Fitter K, the last production variant of the Fitter). 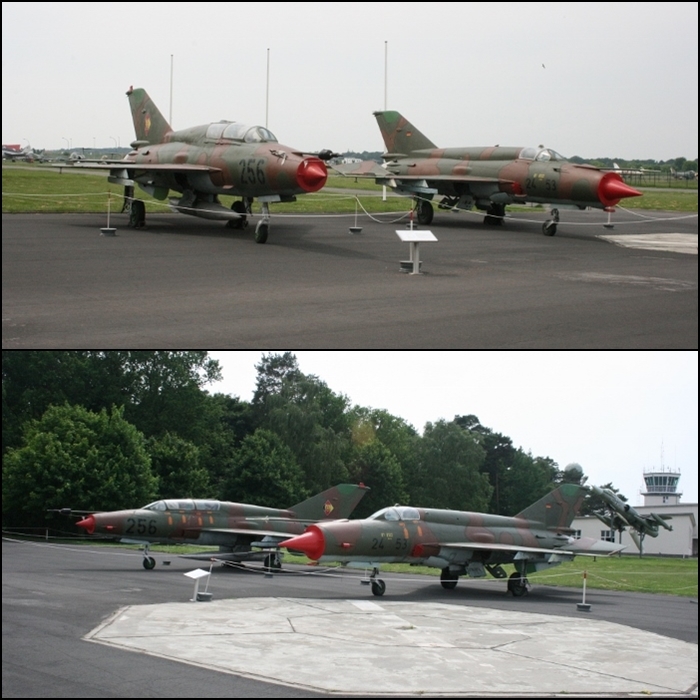 The East German Navy (Volksmarine) also operated 23 SU-22M-4 and 4 SU-22UM two-seat trainers. 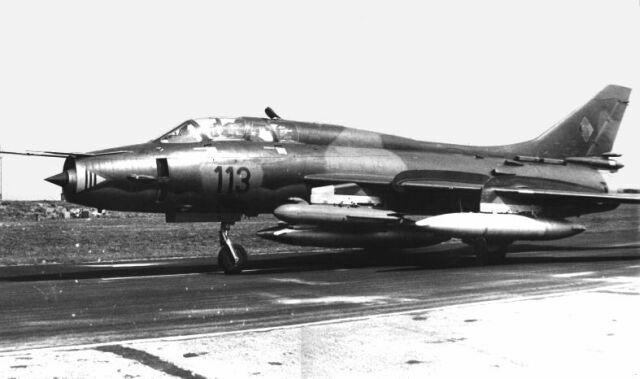 The Su-22M-4 was fitted with upgraded avionics and weapons systems and could carry both short-range air to air missiles for self-defence along with a wide array of air to ground ordnance including rockets, bombs (guided and unguided), gun pods and air to surface missiles on 10 weapons pylons. 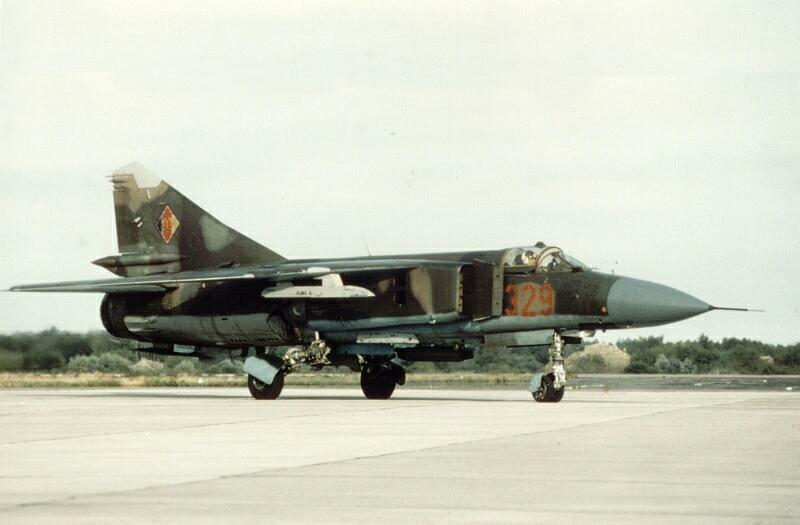 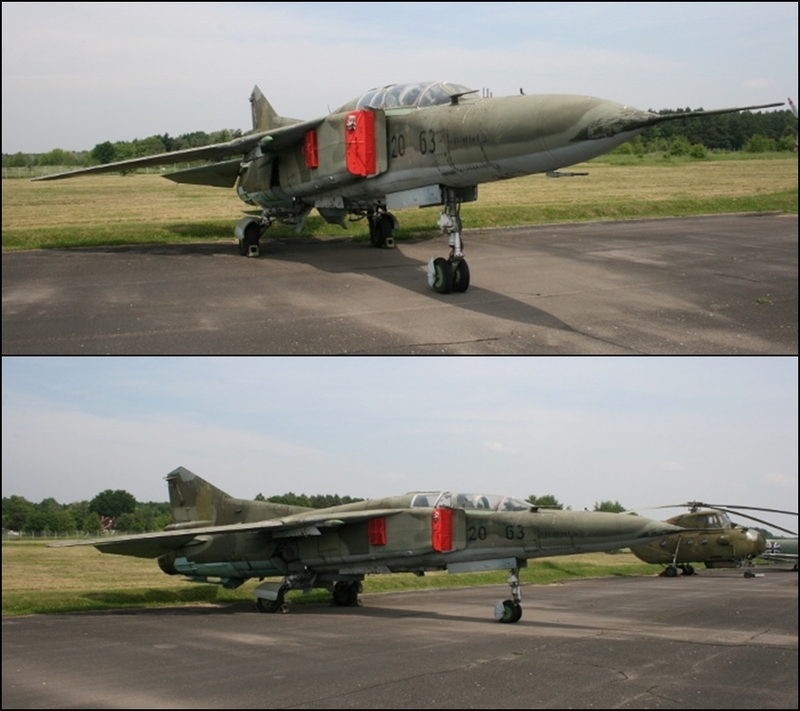 This provided the LSK with an improved strike/attack aircraft with a greater payload than the MiG-23BN. 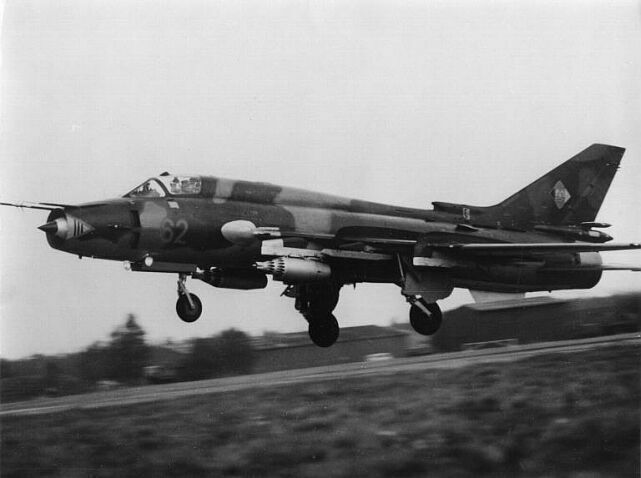 All of the Su-22M-4’s were still in East German service in 1989, serving with JBG-77 (LSK) and MFG-28 (Volksmarine) both at Laage. 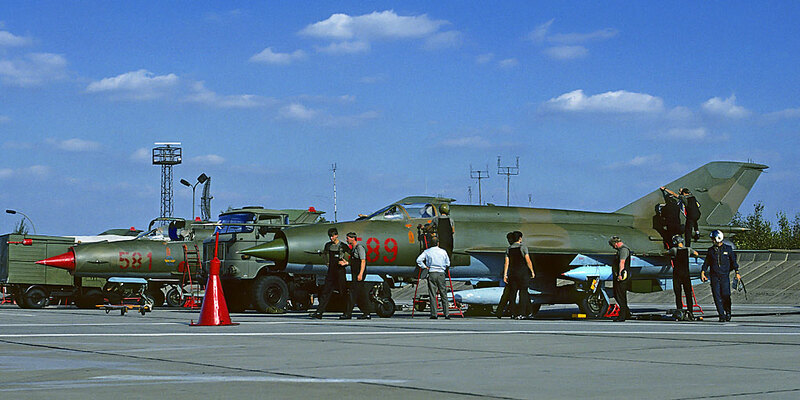 Following the reunification of Germany in 1990 the Su-22, despite being a highly capable attack aircraft was not incorporated into the Luftwaffe. 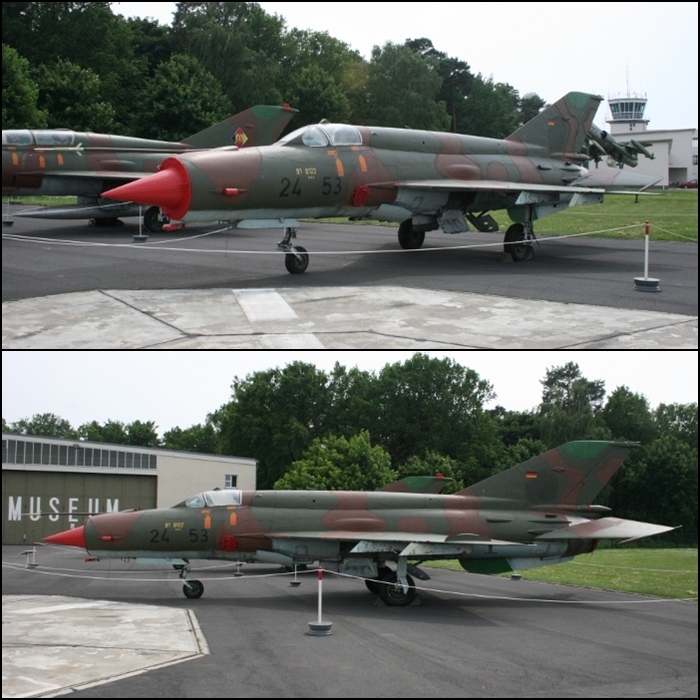 7 were retained for test and evaluation purposes only, by the Luftwaffe Test and Evaluation Centre (WTD-61) at Manching until 1998 (no doubt former NVA personnel helped maintain and fly these aircraft). 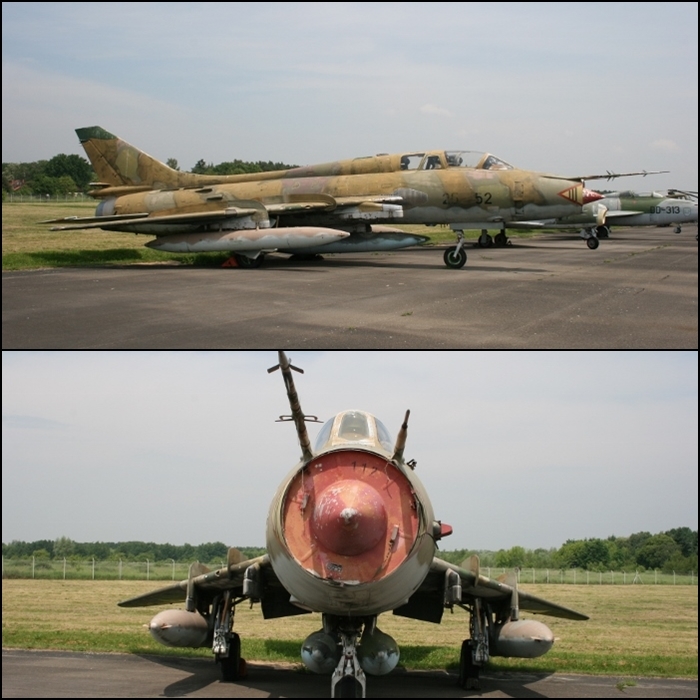 A number of former LSK aircraft remain in museums today and the Lutwaffe Museum at the historic Berlin-Gatow airfield is where I saw many of these survivors during a visit to Germany in 2010. 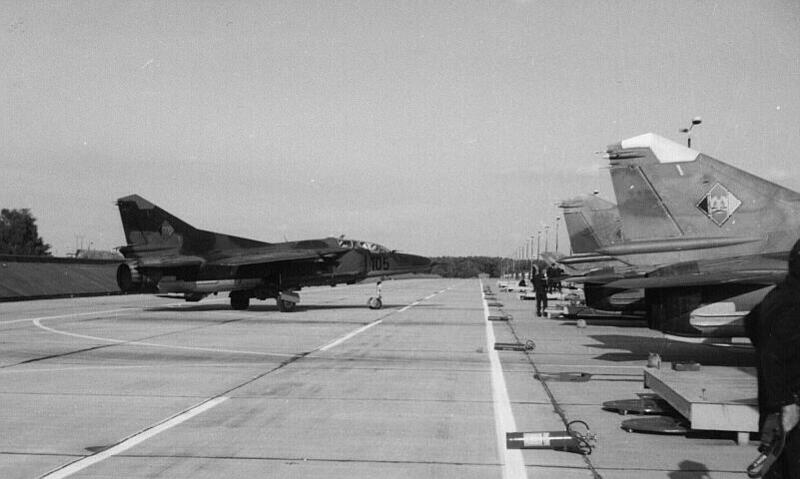 Apart from the GDR historical photos I have included, the rest I have featured here were taken in during that visit. 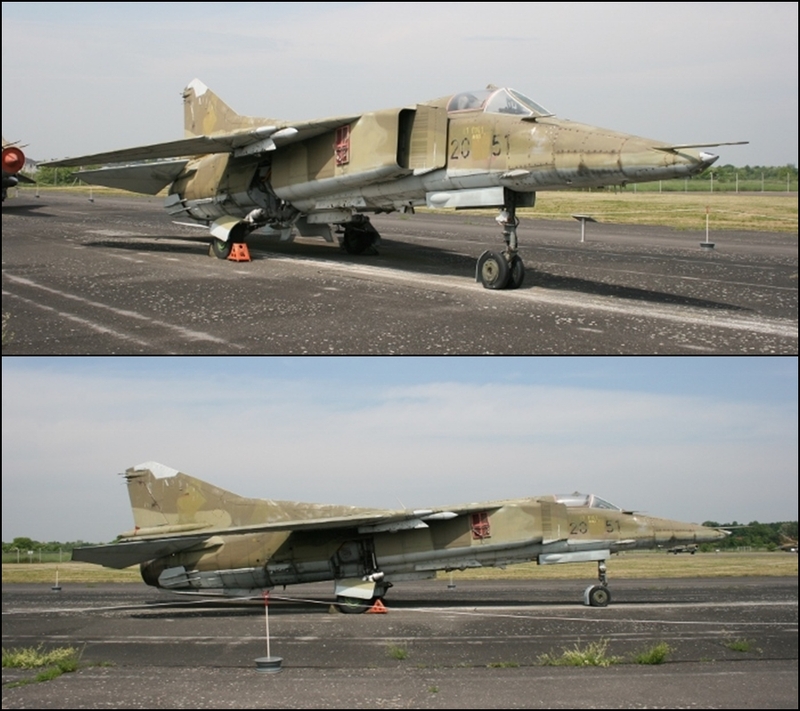 In my next post I will take a look at the final combat aircraft acquisition of East Germany, the Mikoyan Gurevich MiG-29 Fulcrum multi-role fighter. 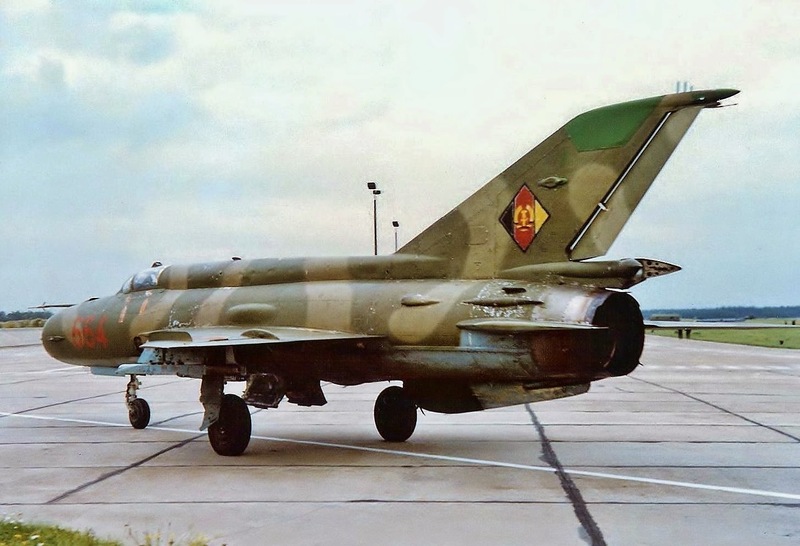 This was a huge but short lived technology leap for the LSK and this post will also cover the demise of the East German nation and thus the LSK in 1990. 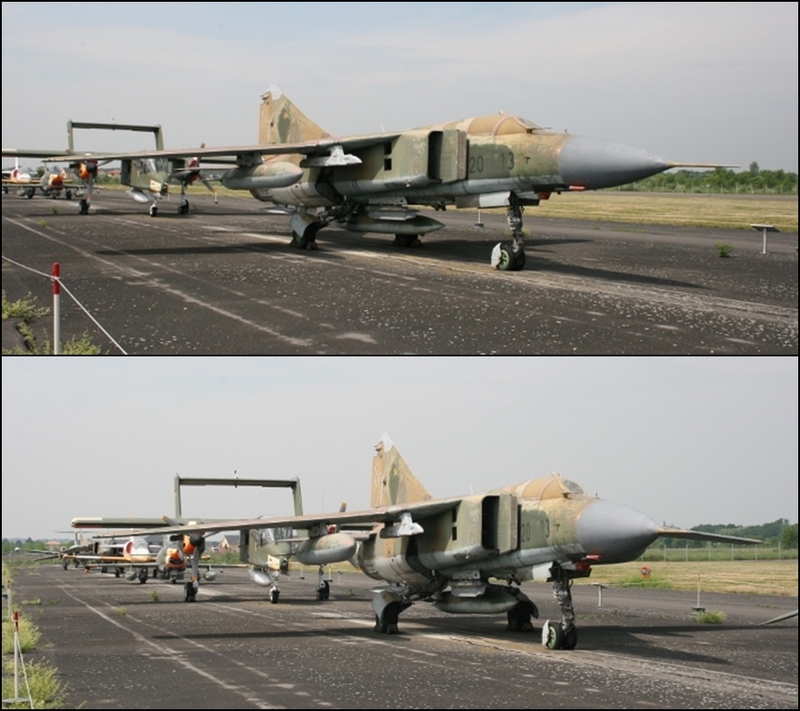 I am making a 1/48 Su22m4 of LSK by KP models. 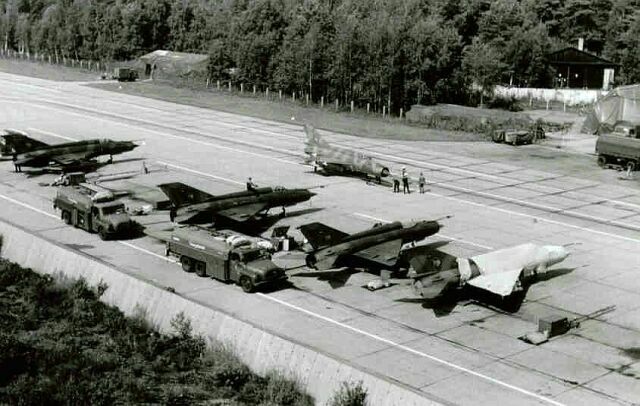 Such an efficient airpower existed and lives in east german people memories. Thanks Vincent. 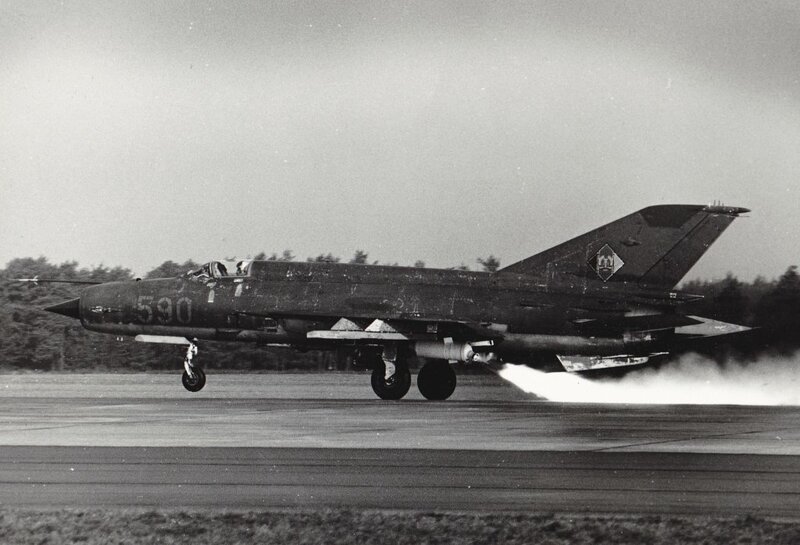 Sorry to hear he crashed. 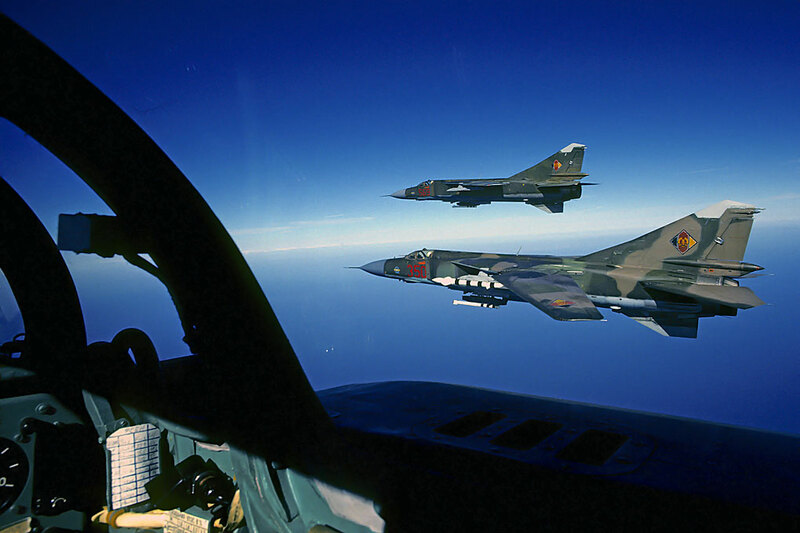 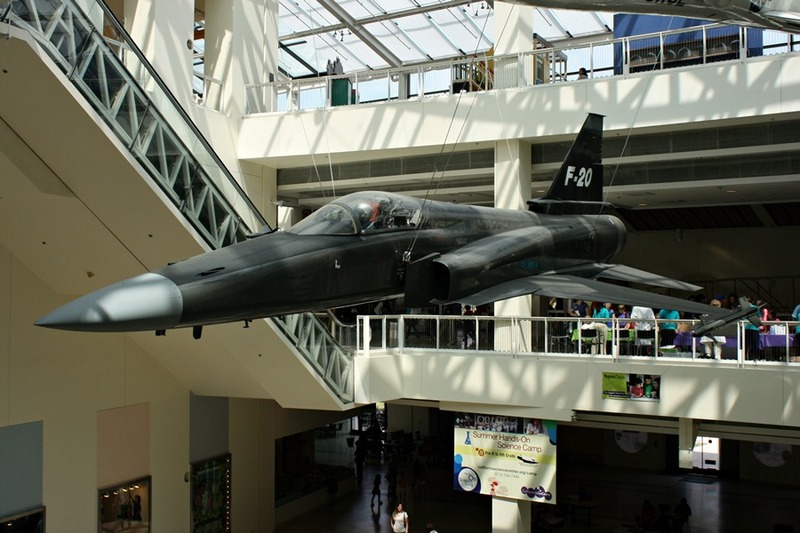 The history of the German air forces is always a fascinating one!